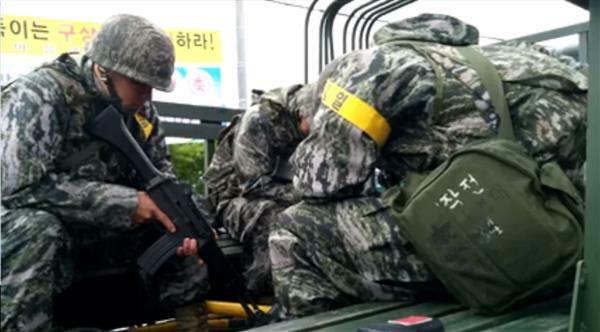 On April 28th (Korea-time), the Korean Navy was found cruising around Gangjeong Village in a truck stowing soldiers with their hands firmly affixed to their rifles. 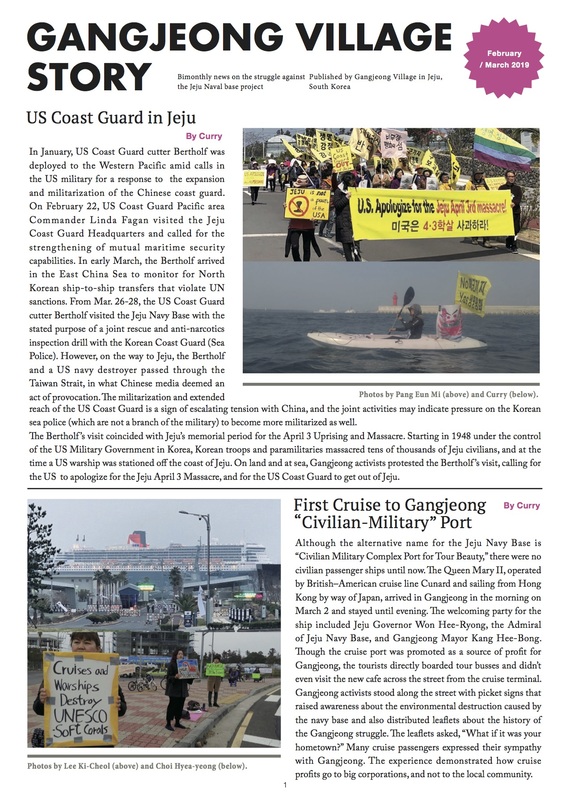 Passing by Gangjeong Elementary School, the drive shocked villagers and activists alike, who have adamantly requested for the Navy to stop treading the village grounds. 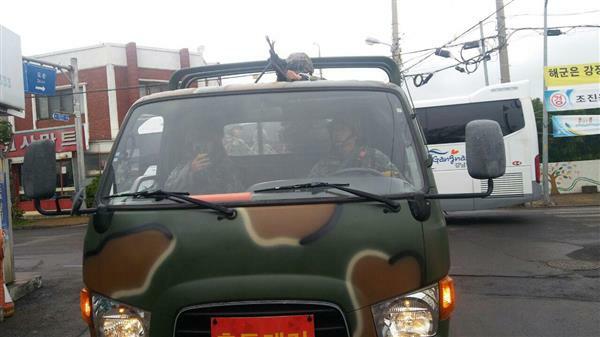 Mayor Cho and others stopped the truck and demanded to know if the weapons were loaded, and if this was a strategy to create an atmosphere of fear in the village. Silence from the soldiers ensued. The officer kept repeating the line that he would retreat. This clear show of militarism comes at a very sensitive time vis-a-vis the lawsuit against the village measuring up to 3 million USD. To some activists, this drive represents an act of taking over the village through violence and force, just like the lawsuit is intended to do. Please check out Gangjeong People on Facebook to see the entire coverage of this affair.